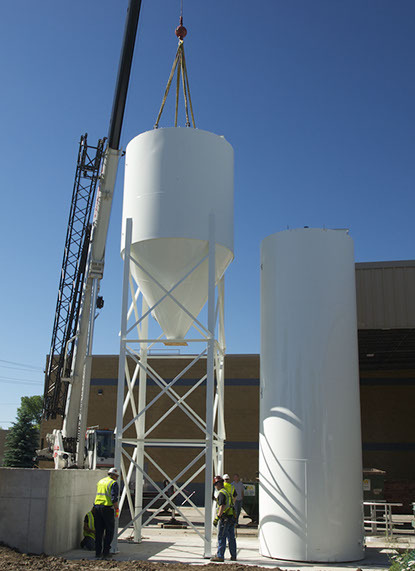 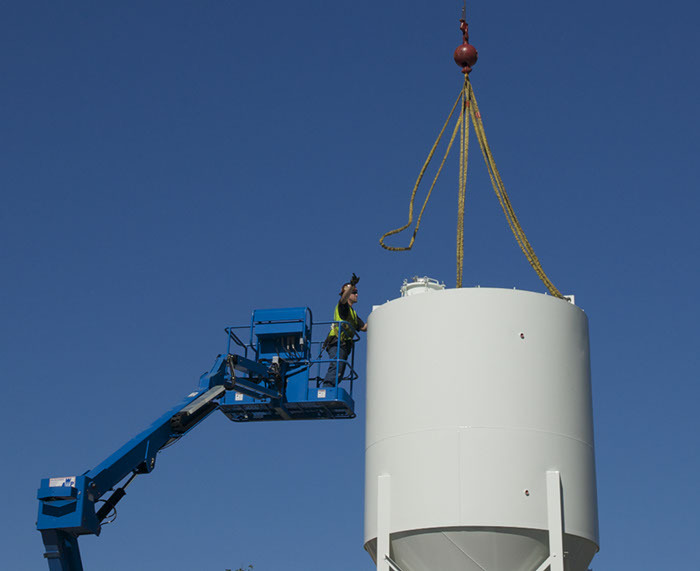 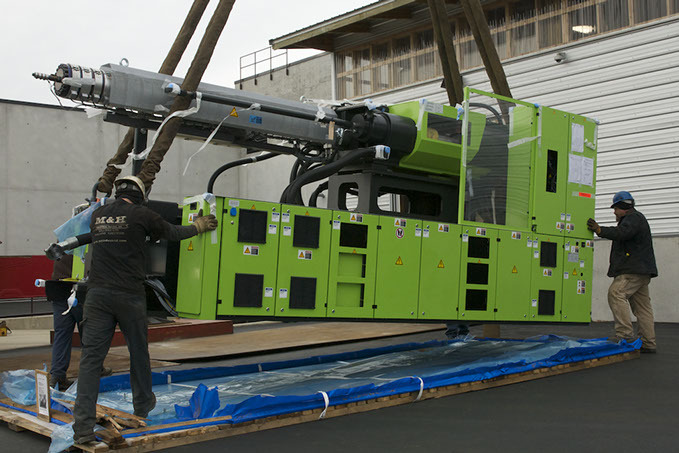 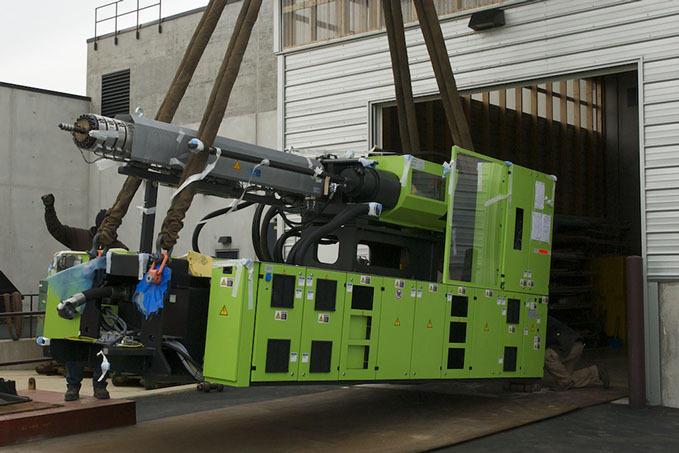 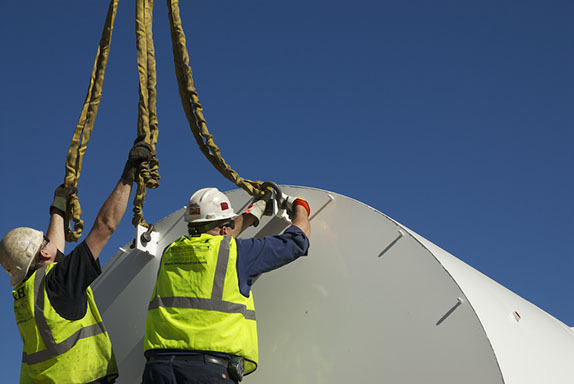 M&H Industrial delivers a full range of millwright, rigging and machine erecting services. 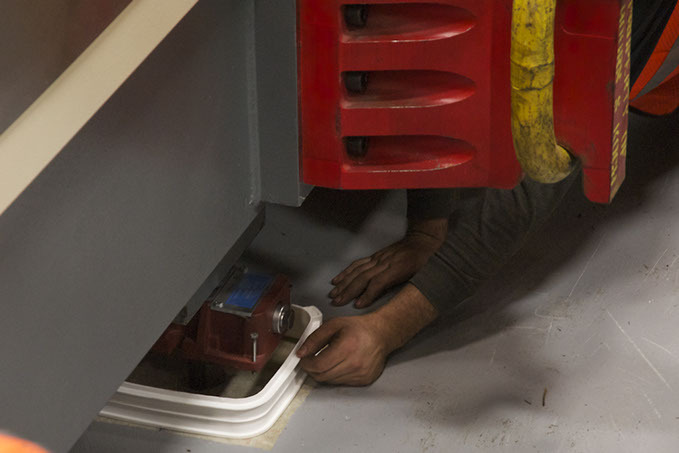 Whether simple or complex, all jobs receive the same thorough attention and expertise that every customer deserves. 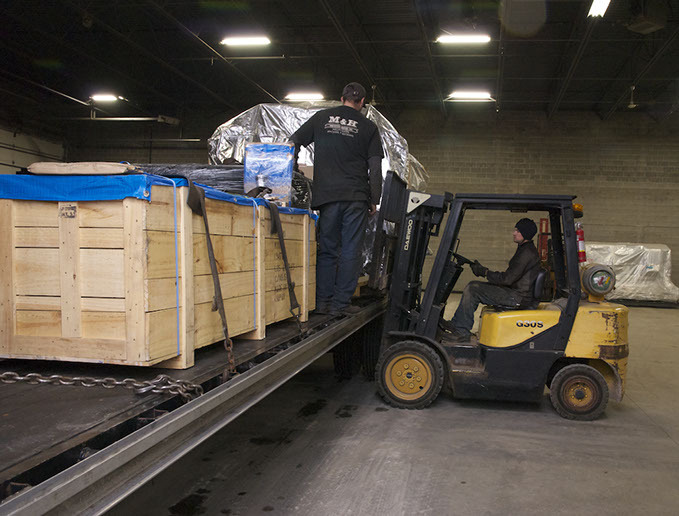 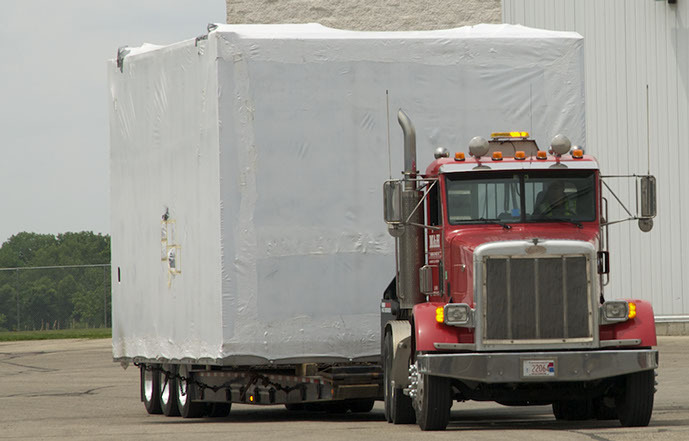 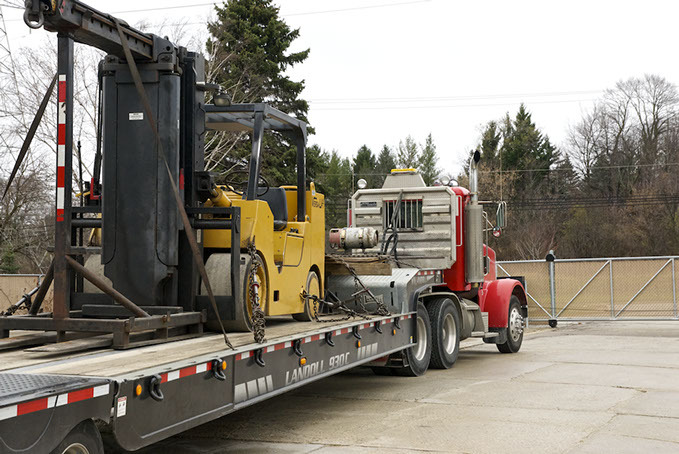 Transportation: One machine or an entire plant—we’ll take care of your specialized moving requirements to ensure a smooth delivery. 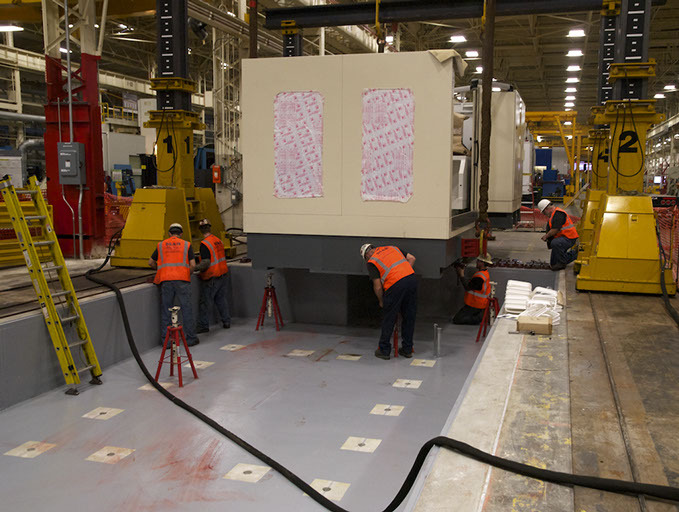 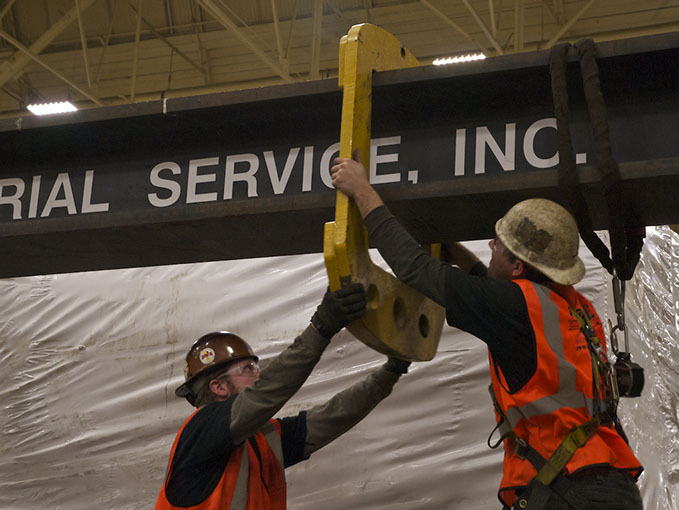 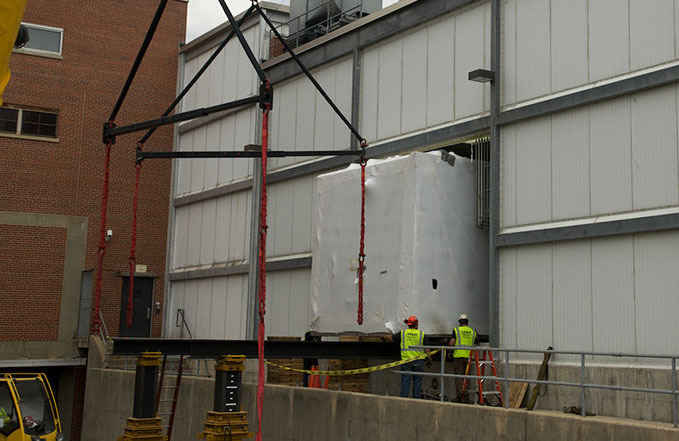 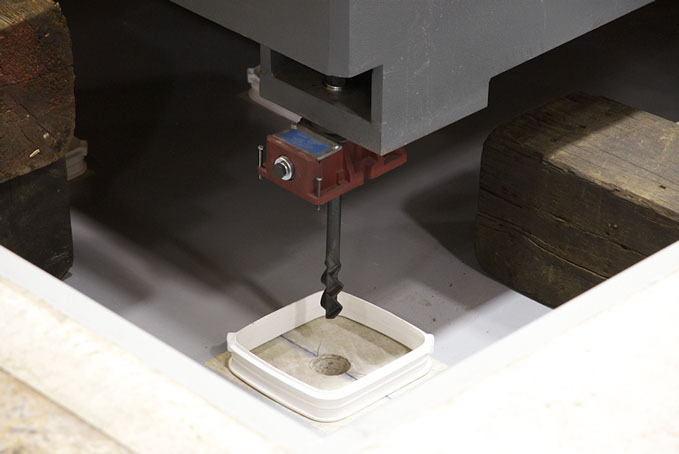 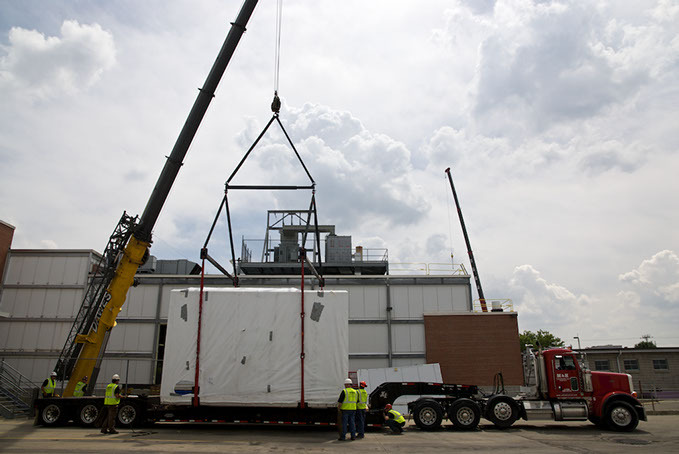 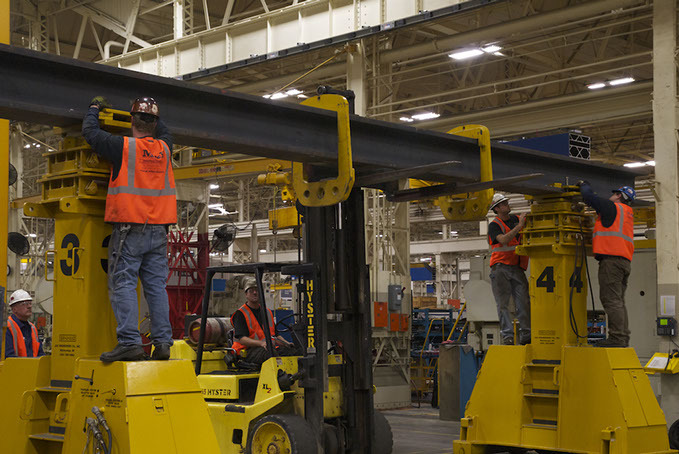 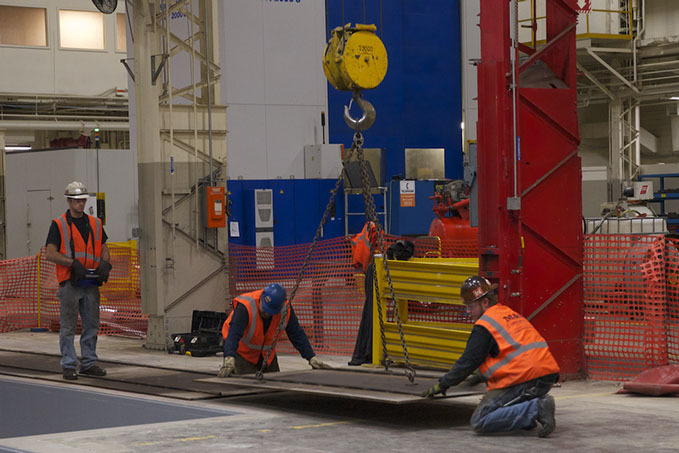 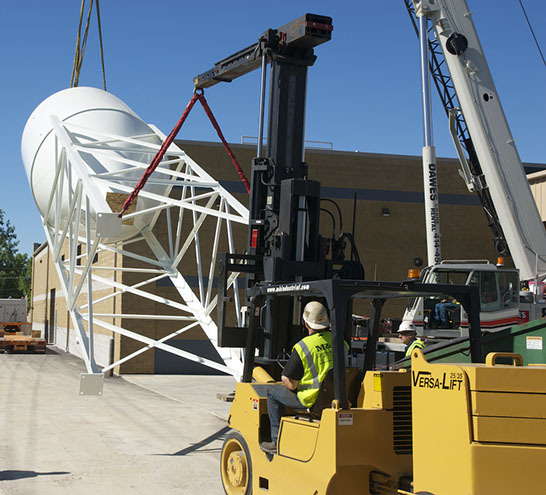 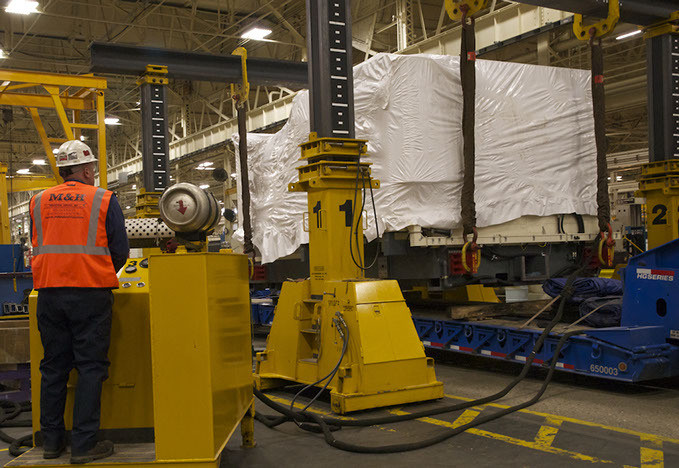 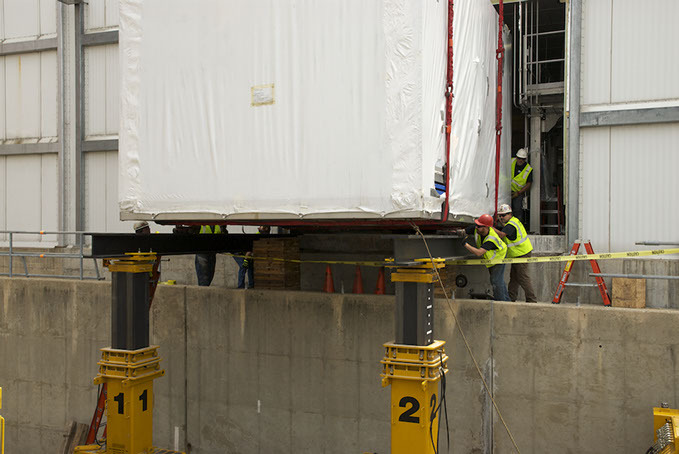 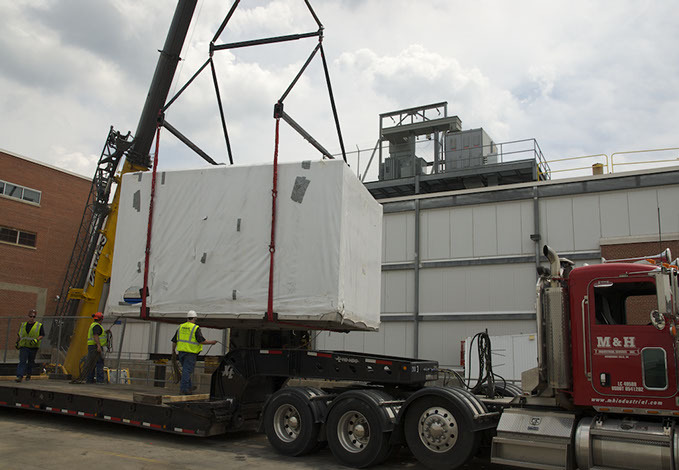 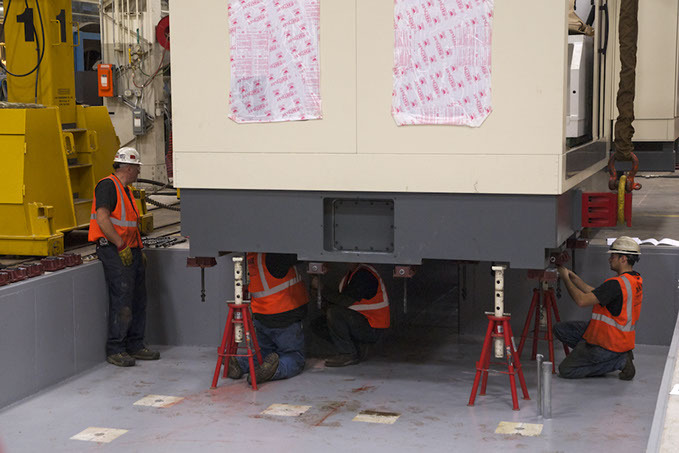 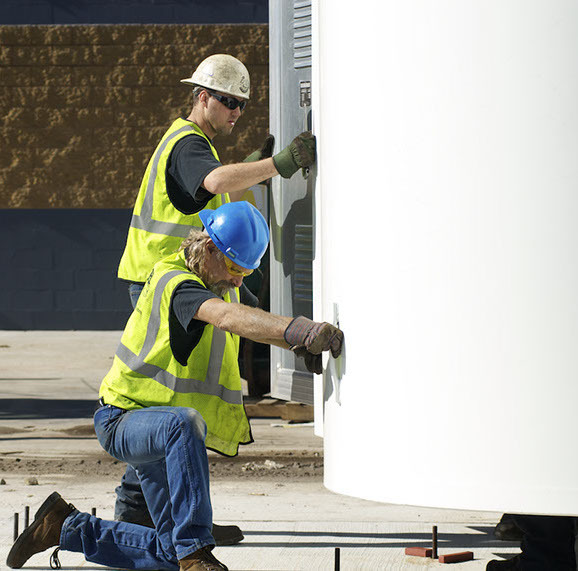 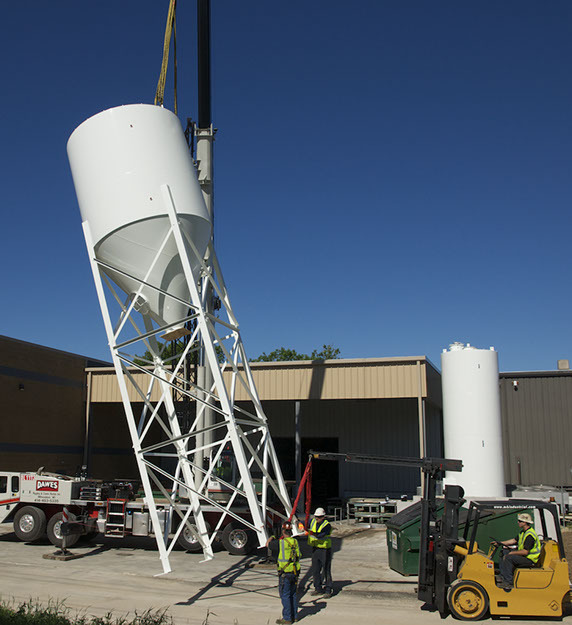 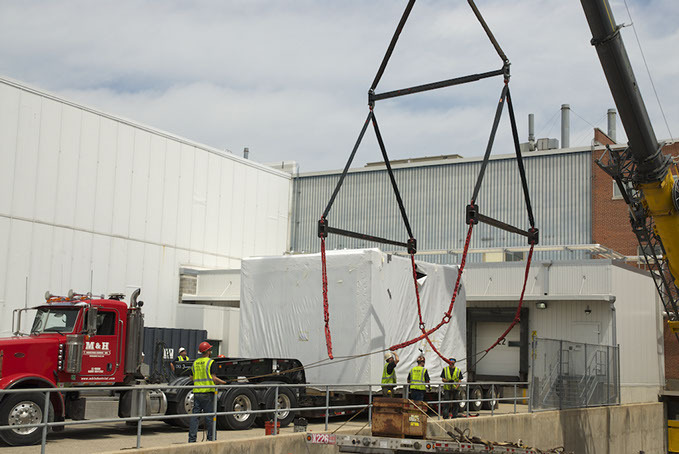 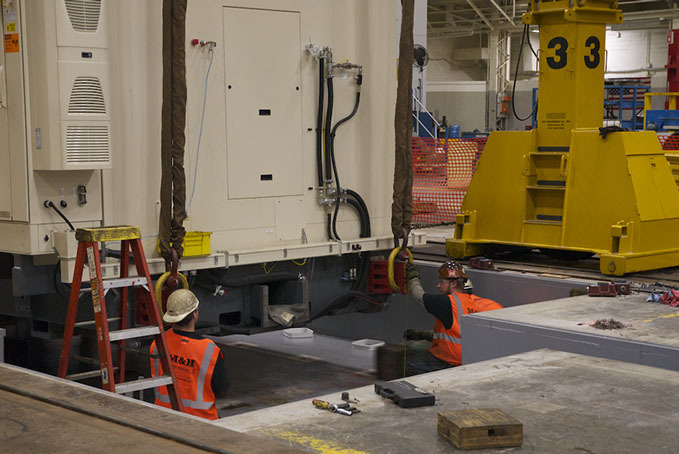 Installation: Our skilled millwrights attend to every detail of assembly and installation, so you can return to production as quickly as possible. 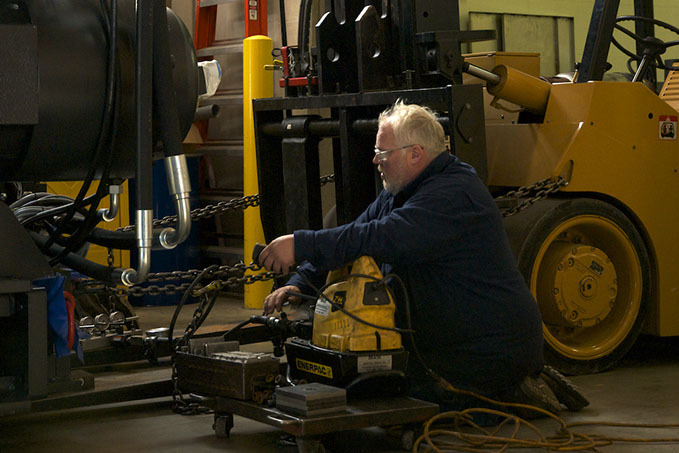 Leveling, Alignment and Anchoring: We secure the integrity and safety of your machinery and equipment with engineering accuracy. 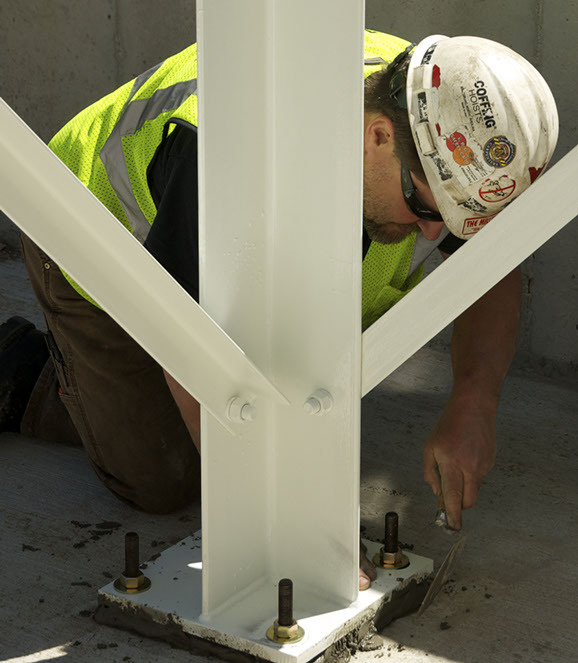 Fabrication and Welding: Our certified welders and fabricators are prepared for on-site fabrication and welding situations so the job keeps moving ahead without delay. 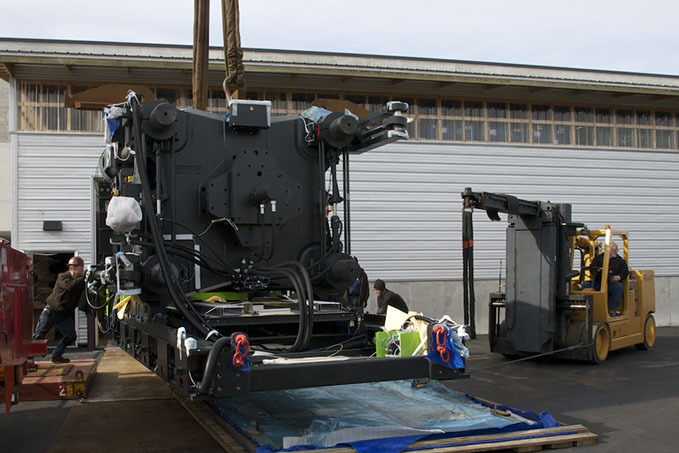 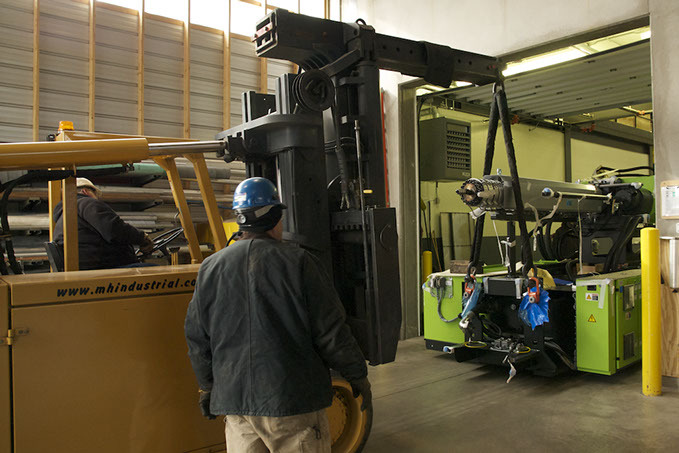 Rigging and Erecting: Positioning heavy equipment demands expertise to lift safely and move securely. 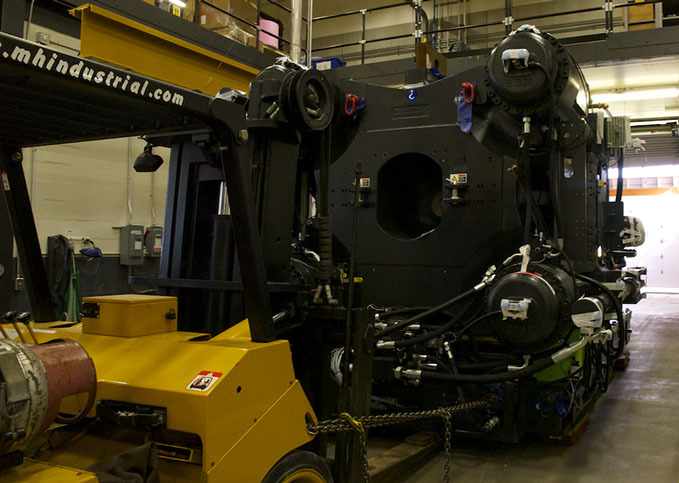 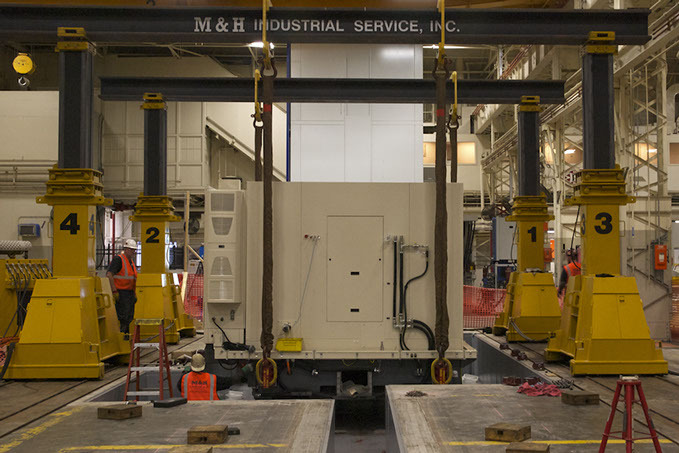 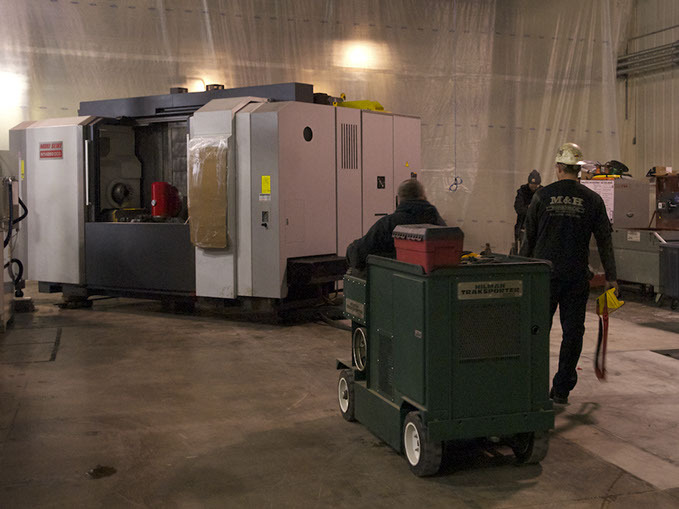 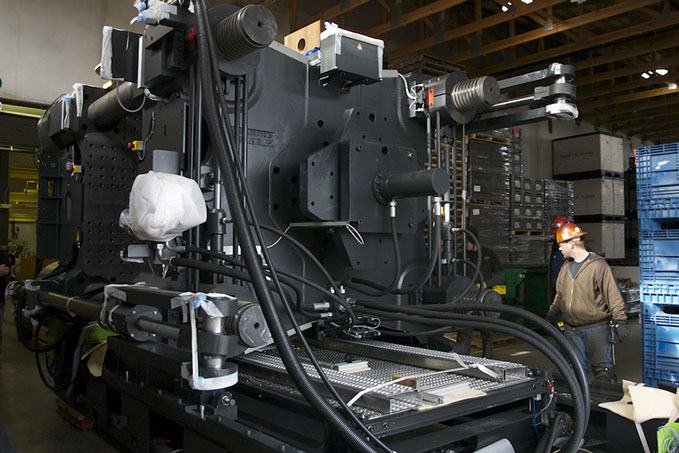 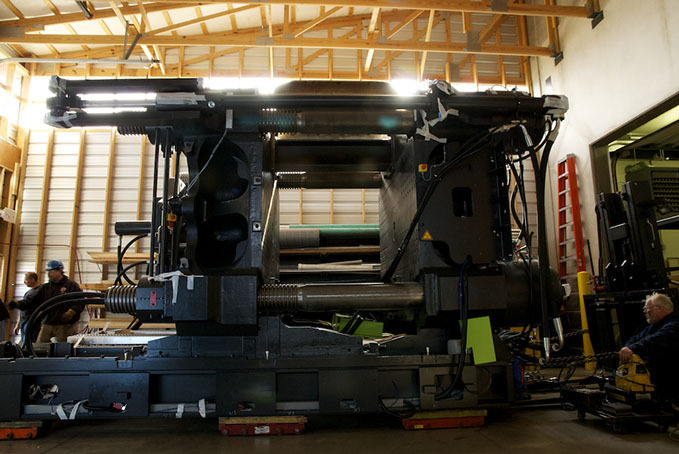 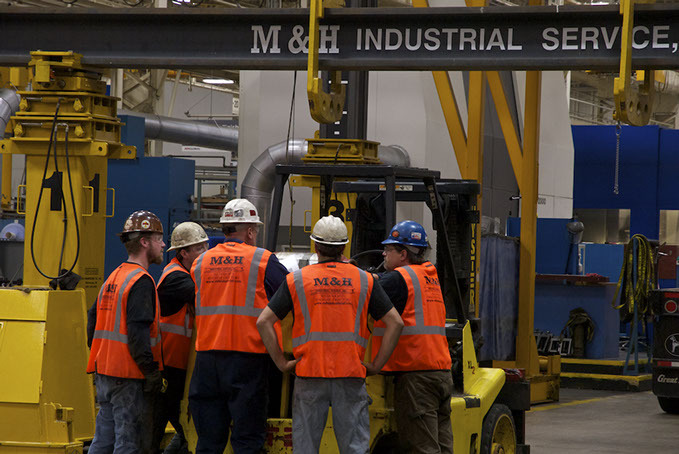 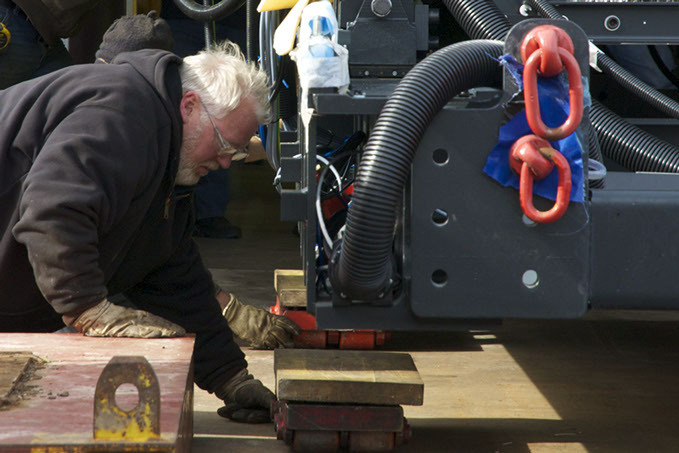 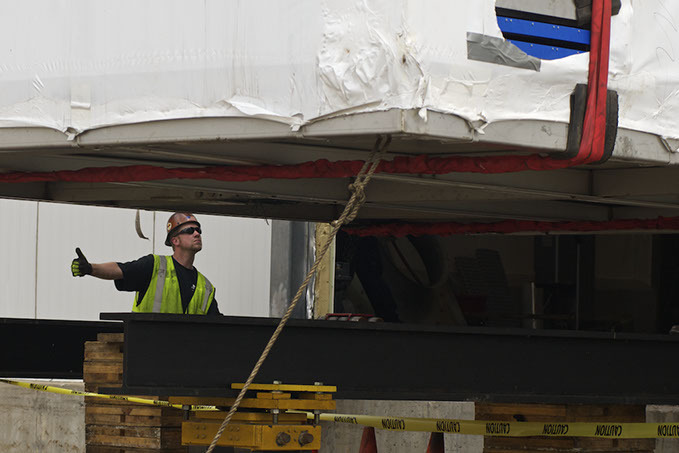 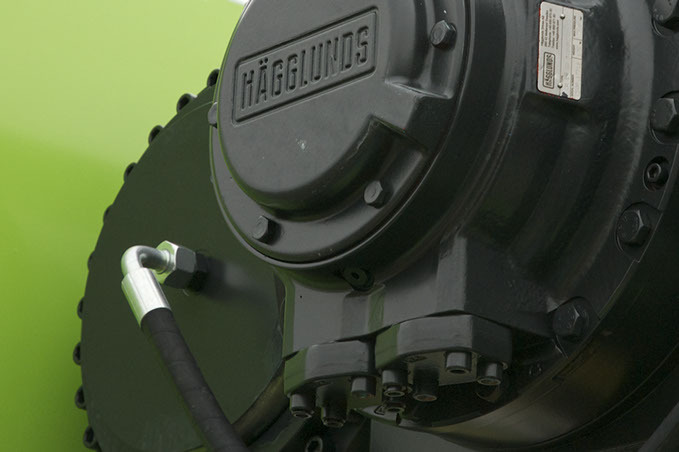 At M&H, we have combined experience in hydraulics, rigging, heavy machine operations, and millwright capabilities. 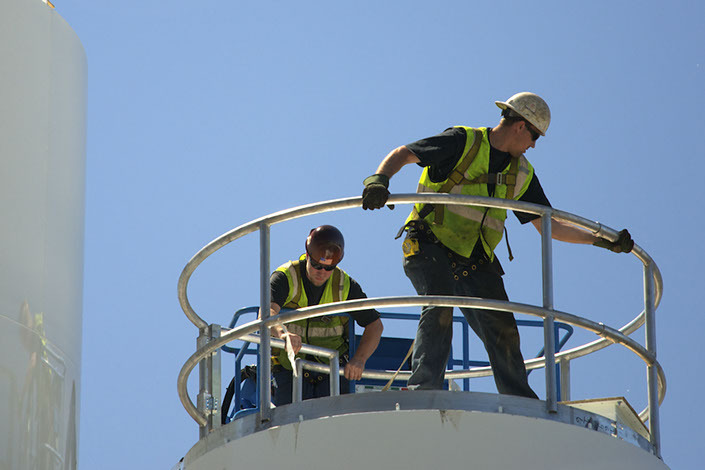 Safety is always our priority. 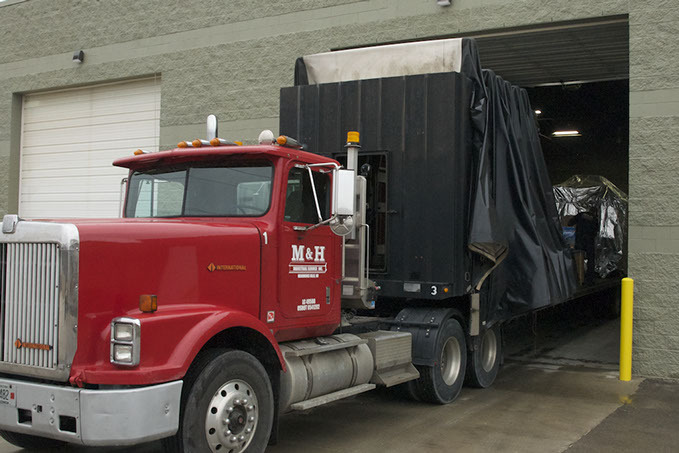 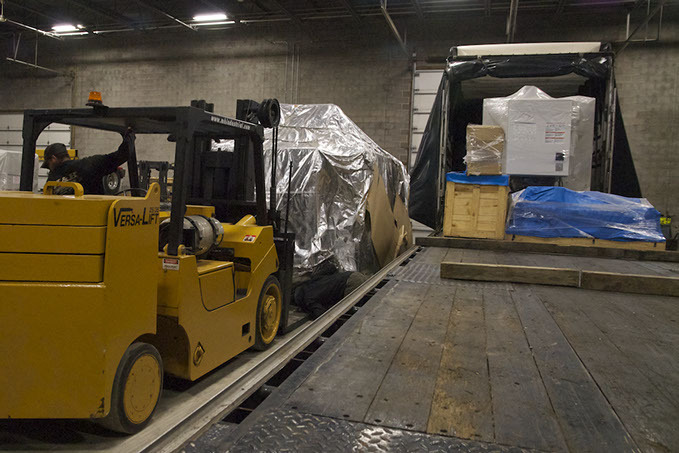 Warehouse Storage: Clean and secure interim storage is available at the M&H warehouse facility in Menomonee Falls, Wisconsin. 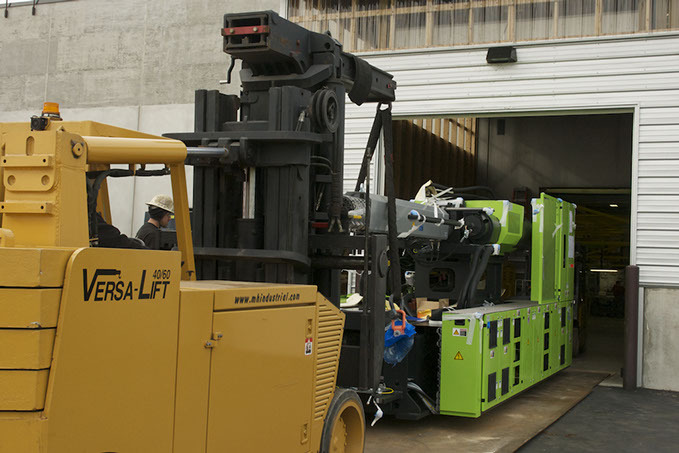 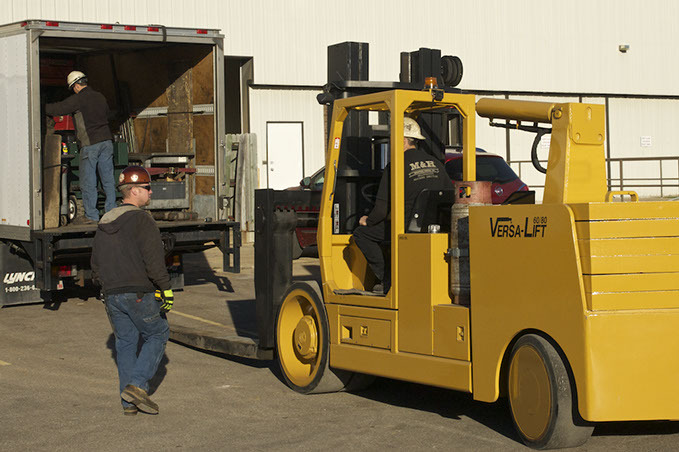 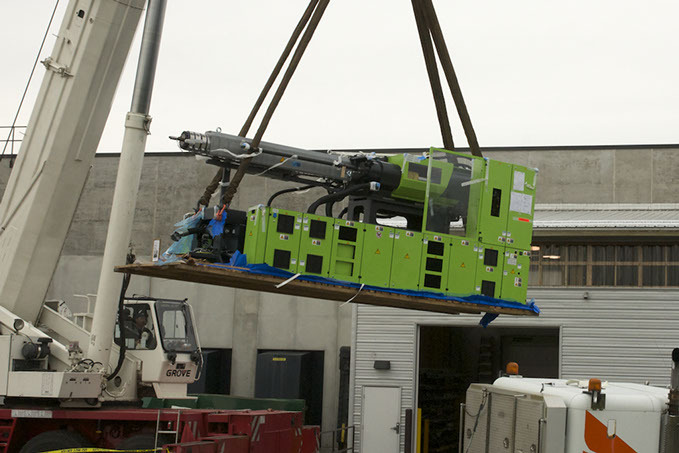 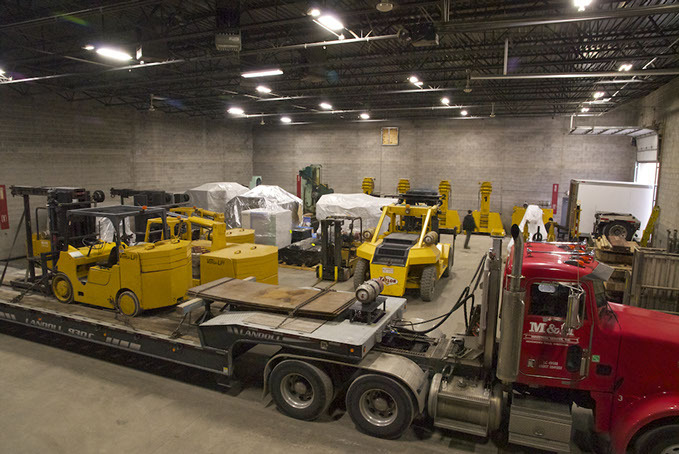 With a complete line of machine moving equipment—Trucks, Trailers, Hydraulic Gantries, Flatbeds, Lifts, TrakSporter, Versa-Lifts—we’re able to provide service for all your machinery and equipment moving requirements.